The American Studies Association’s membership has voted decisively in favor of an academic boycott on Israel, the association announced Monday. "It represents a principle of solidarity with scholars and students deprived of their academic freedom and an aspiration to enlarge that freedom for all, including Palestinians," a Dec. 4 statement said. According to The New York Times, which reported the boycott Monday, the action — the first time the group has called for an academic boycott of any nation's universities — makes the group the largest of its kind to back a movement aiming to isolate Israel because of its treatment of Palestinians. conferences, lectures, and research. It justified the boycott, saying it was "warranted given U.S. military and other support for Israel; Israel's violation of international law and U.N. resolutions; the documented impact of the Israeli occupation on Palestinian scholars and students"; and "the extent to which Israeli institutions of higher education are a party to state policies that violate human rights." "There was an incredible swell of applause and enthusiasm for the speakers who supported the boycott," University of California-Riverside professor David Lloyd told Al Jazeera. "All expressed in different ways that this [boycott] was a fundamental matter of justice. This event indicates just how much things have shifted within the academy." Curtis Marez, the group's president and an associate professor of ethnic studies at the University of California, San Diego, told The Times that while other nations may have human-rights records worse than Israel's, "one has to start somewhere." Ex-Harvard president and former Treasury secretary Lawrence Summers slammed the boycott on the "Charlie Rose" show, saying the boycott singled out Israel and was "anti-Semitic in effect." "My hope would be that responsible university leaders will become very reluctant to see their university's funds used to finance faculty membership and faculty travel to an association that is showing itself not to be a scholarly association but really more of a political tool," Summers said on the Dec. 10 program. The American Association of University Professors, with 48,000 members, is also opposed to academic boycotts, saying they "strike directly at the free exchange of ideas." Both The Times and Al Jazeera noted the vote appears to reflect a trend on U.S. campuses. Al Jazeera pointed out the specific growth of a group known as Students for Justice in Palestine. Andrew Kadi from Adalah-NY, said when his organizations started in 2007 protested campaigns against Leviev, it was one of the only groups in the US advocating for a boycott of Israel. “This year our protest was endorsed by 12 groups in New York City alone, a clear sign of the spreading support for boycott, divestment and sanctions against Israel,” he said. 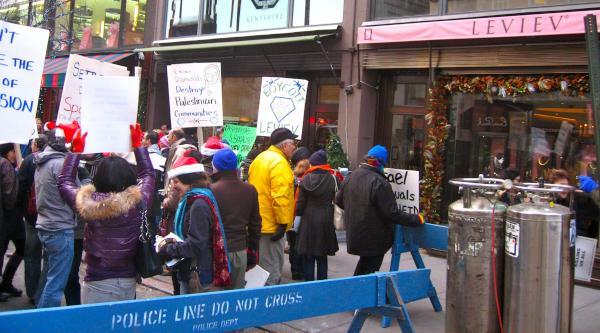 A week earlier, Adalah-NY and other New York groups held a protest calling for a boycott of SodaStream due to the company’s involvement in Israeli settlements. Song lyrics highlighted the fact that Oxfam America and UNICEF, along with CARE, the government of the United Kingdom, New Zealand’s Superannuation Fund, and Hollywood stars have all sought distance from Leviev’s companies over their human rights record. The government of Norway recently rescinded a ban on investing in Leviev’s company Africa Israel, but has said it is looking into the issue after learning of Africa Israel’s ongoing settlement construction. 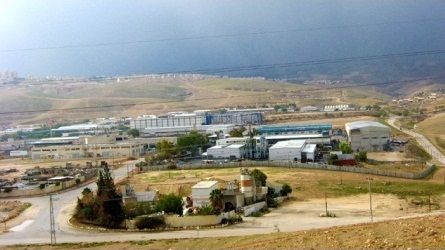 Leviev’s companies are currently building homes in the Israeli settlement of Gilo and developing the Zufim settlement on the land of the West Bank village of Jayyous. They have built thousands of settlement homes for Jews only on Palestinian land in the Israeli-occupied West Bank. All Israeli settlements violate international law as well as seize vital Palestinian land, dividing the West Bank into disconnected Bantustans, reminiscent of apartheid South Africa. In the diamond industry in Angola, Leviev’s mine security companies have been accused of acts of “humiliation, whipping, torture, sexual abuse, and, in some cases, assassinations.” Leviev was forced to shut down his diamond polishing plant in Namibia following accusations that his employee was smuggling diamonds. In New York City, Leviev’s companies have helped to gentrify neighborhoods in Brooklyn and Manhattan. Now a Leviev subsidiary, Danya Cebus, plans to build high-priced apartments in East Harlem for the company HAP Investments, which aims to reap profits by gentrifying Harlem and Washington Heights. 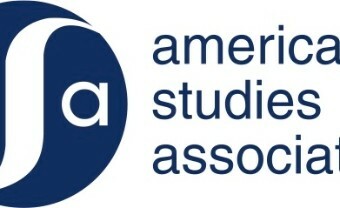 The members of the American Studies Association have endorsed the Association’s participation in a boycott of Israeli academic institutions. 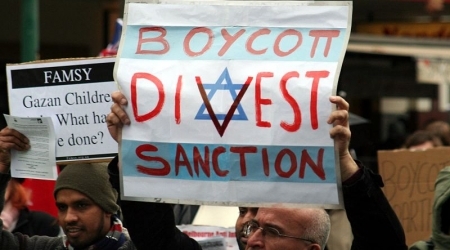 In an election that attracted 1252 voters, the largest number of participants in the organization’s history, the majority of votes (66%) supported the boycott. The election was a response to the ASA National Council’s announcement on December 4 that it supported the academic boycott and, in an unprecedented action to ensure a democratic process, asked its membership for their approval. Please see the ASA website for a collection of supporting documents, including FAQs, and boycott guidelines. The New York Times has a thorough story on the vote that says boycott is catching on– “a growing movement to isolate Israel over its treatment of Palestinians”– even though some allege anti-Semitism. The Times actually mentions the BDS movement (usually marginalized) and notes that a measure is coming up at the Modern Language Association next month to criticize Israel for its restrictions on Palestinian movement. And the Times suggests that PA President Mahmoud Abbas came out against the ASA resolution (though that’s not quite what he did). 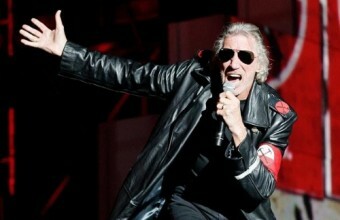 Roger Waters, co-founder of Pink Floyd and a prominent supporter of the Palestinian call for boycott, divestment and sanctions (BDS) on Israel, has openly stated his support of the American Studies Association resolution, currently being voted on, to endorse a boycott of Israeli academic institutions while the occupation of the West Bank and Gaza continue, according to the Electronic Intifada. 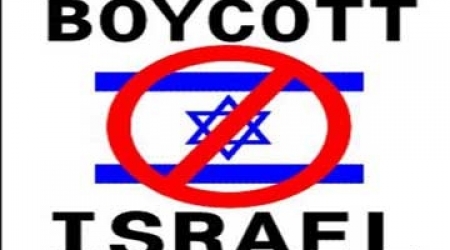 I have been reading with growing interest about the American Studies Association’s up coming vote on their resolution to endorse an academic boycott on Israel. I am just a simple musician, but I have been advocating a cultural boycott of Israel since 2007. I have no words to express my profound support for all of you in the academic world. Your stand is fundamentally important because it is acknowledged that you can not only feel, but think as well. Steven Hawking’s refusal to go to Israel was a huge statement. We await your vote with bated breath. Our movement is growing. Obviously we all believe in Universal Human Rights for all The People of the region, and/but we also all know that the Israeli occupation of the West Bank and siege of Gaza is just, plain, wrong. I stand, in solidarity with you, and the Palestinian people. According to the Electronic Intifada, the letter was sent by Waters’ manager, Jim Durning, at the request of ASA member Alex Lubin, associate professor of American Studies at the American University of Beirut and the University of New Mexico. There was no immediate comment from the Romanian embassy in Tel Aviv. The American Studies Association leadership announced, Wednesday, that its National Council has unanimously approved a resolution submitted by the Academic and Community Activism Caucus to endorse the Palestinian call for a boycott of Israeli academic institutions. “We believe that the ASA’s endorsement of a boycott is warranted given US military and other support for Israel; Israel’s violation of international law and UN resolutions; the documented impact of the Israeli occupation on Palestinian scholars and students; the extent to which Israeli institutions of higher education are a party to state policies that violate human rights; and the support of such a resolution by many members of the ASA,” the council's announcement said. The council is still seeking the support of the group’s entire body. Members have until December 16 to cast their vote. The resolution is very likely to pass given the amount of support it had at the conference, however if the majority of voters reject the decision, it will be withdrawn. According to the announcement, the decision is limited to a refusal by the Association to enter into "formal collaborations with Israeli academic institutions, or with scholars who are expressly serving as representatives or ambassadors of those institutions, or on behalf of the Israeli government, until Israel ceases to violate human rights and international law." The report added that the resolution "does not apply to individual Israeli scholars engaged in ordinary forms of academic exchange, including conference presentations, public lectures at campuses, or collaboration on research and publication. The Council also recognizes that individual members will act according to their convictions on these complex matters."